This story is why we do what we do for our military family. We thought you would like to see a short news article that was done about one of our clients and our efforts to help him, help his mom and dad. FOX and Friends will be hosting Jose Jr., his family and us next week. Sunday, 18 September 2011, our clients are being interviewed by Telemundo for a segment that will air next week. A valley family who lost their home to foreclosure two years ago is getting it back -- much to their surprise. A small house in a humble neighborhood, just west of downtown Phoenix, might not seem like much to the average home buyer. But for the Cordova family, this house was home. Jose Sr. bought the home back in 2004 but lost it to foreclosure when he lost his job. But Jose Jr., an army veteran at age 22, with tours to Afghanistan and Iraq under his belt, wanted to do something to make his parents lives easier. He saved up $30,000 during his deployment overseas, and miraculously found his childhood home for sale. "It means a lot 'cause he did put a lot of work in, he rebuilt the whole thing pretty much. I remember I used to see him and helped him a few times with whatever I could do," says son Jose Cordova, Jr.
G-II Varrato told us this story is as unique as it is heart-warming. "This is one of the best things that we have ever done. In 25 years of real estate this is the best transaction," says "G-II" Varrato, II of Coldwell Banker. "It's my family and that's how it supposed to be, pretty much you got to help your family," says Cordova, Jr.
"[translated from Spanish] At times, it's hard to find the words to explain what I want to say… But I would like to somehow thank my son," says Jose Cordova, Sr.
Below are images of the home that Jose’s parents lost to foreclosure after Jose Sr. lost his job due to the collapse of the construction industry, here in the valley. 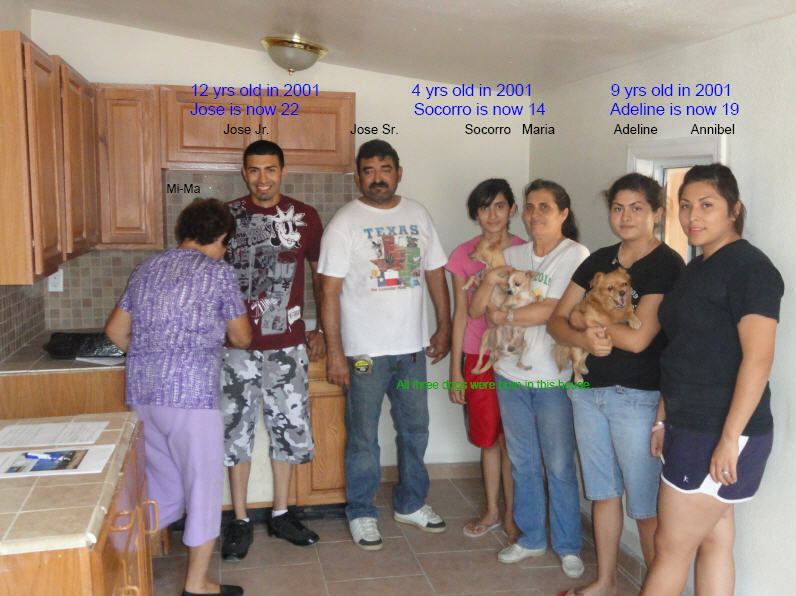 October 31st 2005 Jose & Maria refinanced the home for $70,000 because the roof and foundation had failed. Jose Sr. used the money to repair and enhance the home. January 9th 2007 Jose & Maria were solicited to refinance their home again, this time for a grand total of $142,000. The refinanced loan was broken into a $132,000 first mortgage and a $10,000 second mortgage. It is believed that Jose Sr.’s monthly income is just under $2,200 and his debt load consists of about $500 in ancillary revolving or fixed payment obligations. (do we see a problem with this ReFi?) Jose's loan documents have been requested from the lender and investor who approved this loan. More on that later when the loan documents arrive and are examined. Late 2008, Jose Cordova Sr. is laid off due to lack of work in the construction industry. His medical condition also deteriorates and he is unable to gain employment from this point forward because no employer will hire him with his medical condition. June 16th 2009 Notice of Default was filed by the lien servicer, Aurora Home Loans. 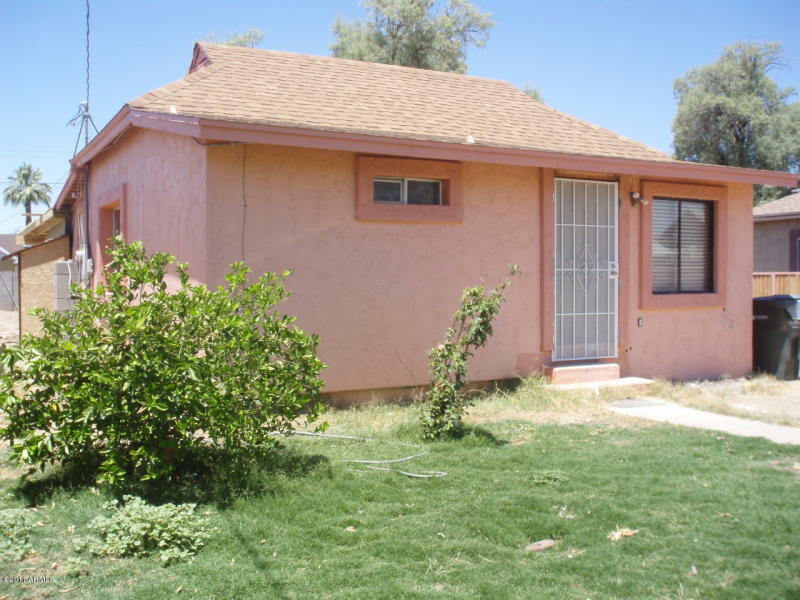 April 10th 2011 Jose Cordova Sr and Maria Cordova finally lose their home to a Trust Deed Sale. 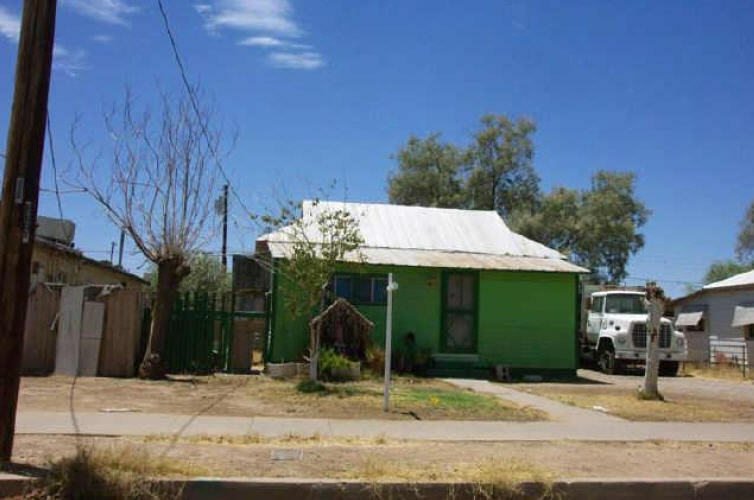 Jose's childhood home after buying it back from the investor who purchased the home for $14,000 at the trust deed sale in April 2010. 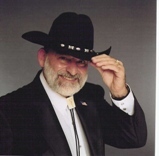 We began to discuss home purchase options with Jose Cordova Jr. in February 2011. At first he simply told us that he was looking for a home to purchase, somewhere in the $25,000 to $35,000 price range. Jose was stationed in Afghanistan at the time and we chatted via eMail and Skype often. Jose asked that we work with his wife, Anabel, to look for a home for them. Lori, my wife, showed Anabel dozens of houses. Shortly after beginning the hunt for a home we learned that Jose was looking for the home for his parents. We still didn’t know the ‘back story’ at that time. Over the next many months, Anabel and her parents and Jose’s two younger sisters looked at dozens of homes with Lori. Most were not fit for an animal to call home. 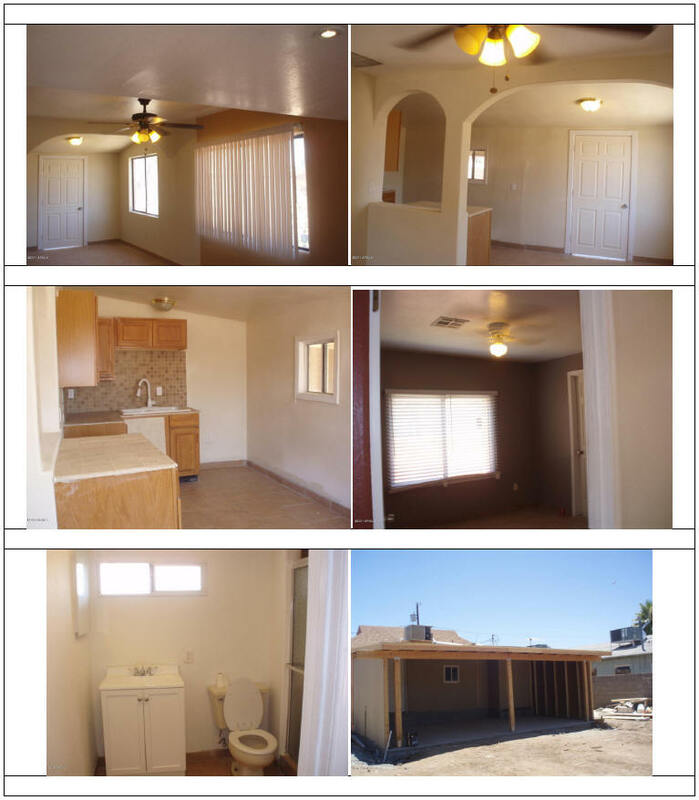 Then, early in September Jose came across a small home, only 700 sqft. Jose sent us an eMail and asked if we would show the home to his wife. We called Jose on Skype and talked to him about the property, explaining that it was much smaller, by at least half the size that we had been showing his wife and parents and siblings. Nevertheless, Jose insisted that we show the home to Anabel. Jose contacted us again, before were to show Anabel the home and it was at that time that he shared with us that this was the home he grew up in and that his parents had lost it to a trust deed sale auction just 18 months earlier. We held off showing the home to Anabel and the family, waiting for Jose to come home on leave from Afghanistan. On September 1st Jose came into town and we met him and his entire family at the property. All of them were so excited at the prospect of possibly being able to reacquire the property. 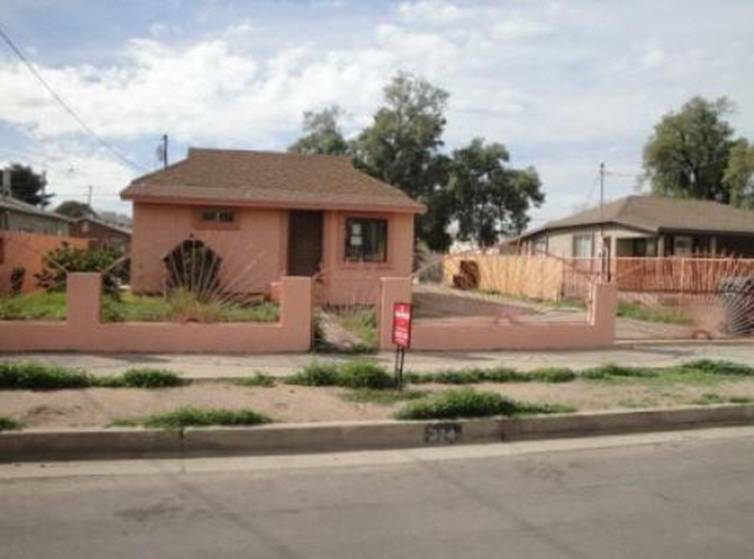 The seller was asking $35,000 for the property that he had purchased at the auction for $14,000. Jose and I constructed an offer strategy and made an offer of $20,000. That offer was flat rejected by the seller. I then explained, to the listing agent, the history of the home and the importance the home had to the Cordova family. The listing agent relayed the story to the owner and the owner agreed to sell the home to Jose Jr. for $25,000. When we got the news, we met the Cordova family back at the property on September 5th 2011. Jose Sr and wife Maria brought the two daughters, Adeline now 19, who was 9 when she first lived in the home, Socorro now 14, who was 4 when she first lived in the home and three tiny Chihuahuas who were all born in the house. The little dogs were running all over the tiny home, remembering their little ‘comfort places’. Mom and dad had tears in their eyes and the three children, Jose Jr., Adeline and Socorro all reminisced about the stories from their child hood. Being with the family that day was one of the best days of our lives. I don’t think we have ever been as excited to help someone buy a home as we were with this family. The news article that Fox did yesterday is but the tip of the iceberg of many exciting adventures we heard tell of while we all walked the large back yard and walked around the house. Jose Sr pointed out places on the existing structure that had been changed by the fellow who bout the home at auction. This is why my wife, Lori, and I do what we do… this is the best transaction we have ever done. Lori & G-II (Lori Klindera & G-II Varrato II) REALTORS® with Coldwell Banker Residential Brokerage in Phoenix, Arizona. “G-II” is retired USAF. They are the Number One Short Sale REALTOR® team for Coldwell Banker Residential Brokerage in Arizona. They have continually been ranked in the top 1% of all REALTORS® for all Arizona, with Coldwell Banker Residential Brokerage, for the past 10 years. In 2010 we were ranked 8th in the state in overall production. Lori & G-II are standing by to answer your questions.